Today’s featured architect, Frank Fort of Meridian and later Jackson, had a long and famous career, as recounted in his architecturally detailed obituary of 1963, but when I went back through the MissPres archives, I found that we’ve somewhat neglected him here, with only four posts that mention him. The MDAH Historic Resources Database does slightly better, with six properties being listed under Fort’s name in independent practice and 19 properties or neighborhoods that the long-lived firm of Fort & White designed between 1936 and the late 1950s. It may be that the firm’s shift into the design and development of Jackson’s post-WWII suburbs has meant it is hard to attribute individual landmark buildings to them, but they deserve better treatment, and this post is the start of bringing their careers to light. Hopefully, that search will include finding a photo of Frank Fort, which has so far eluded me. 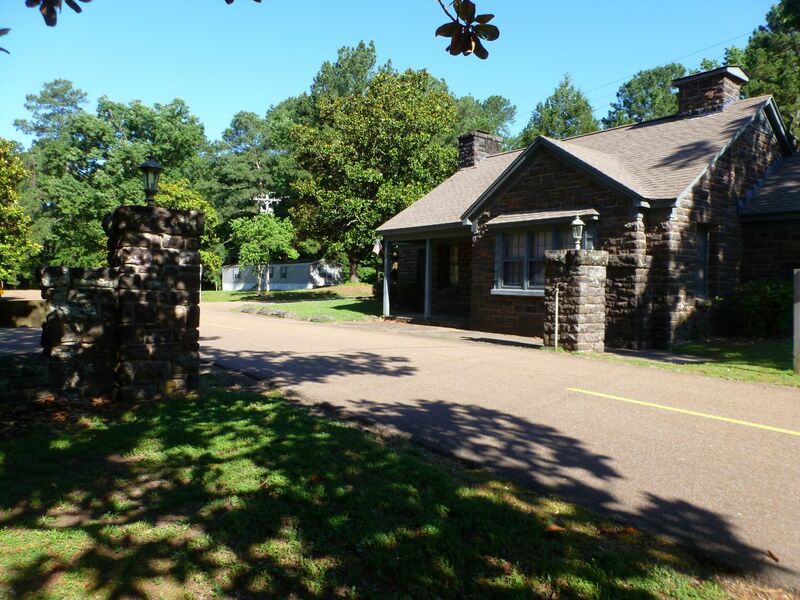 As far as I can tell from asking around and from the fact that there is no house at 3950 Eastover, Fort’s home in Jackson’s Eastover neighborhood, which he helped design, is no longer standing. Does anyone have a photo of it? One thing I noticed in the obituary is that Fort apparently was closely involved in the design of Mississippi’s 1930s state parks, all of which were built by the Civilian Conservation Corps and the National Youth Administration, and most of which are listed on the National Register of Historic Places as epitomes of the Rustic style in both buildings and landscape. The National Register thematic nomination for the parks doesn’t mention Fort’s involvement, not surprising because as a government employee, his individual efforts would have typically not been pointed out in the newspapers or other contemporary sources. But this is another thread worth pulling on. Frank Fort, 67, prominent retired Jackson Architect, died unexpectedly Saturday morning at his home, 3950 Eastover. He was a native of Meridian, a former resident of New York City, and had lived in Jackson since 1934. He was a graduate of Meridian Public Schools and Georgia Tech, School of Architecture. He served in World War I as a fighter pilot and was awarded several medals for distinguished service. He served under former Ambassador Wynant, who was his captain and a close friend through the years. After the war, he traveled in Europe before returning to New York to practice with the well known and renowned firm of McKim, Mead & White, where he did delineations and presentation drawings. One of the best known structures, on which he prepared the original perspective drawings, was the Memorial Bridge across the Potomac, near the Lincoln Memorial. He was later associated with LaFarge, Warren & Clark in New York. This firm had many prominent clients, including the Vanderbilts and other fine commissions on which he played a prominent part in the design and presentation. The Forts returned to Meridian in 1929, because of the improved climate for a delicate daughter. While in Meridian he designed the Meridian Post Office and Federal Building and handled the design of many of the buildings constructed in the state parks of that era. 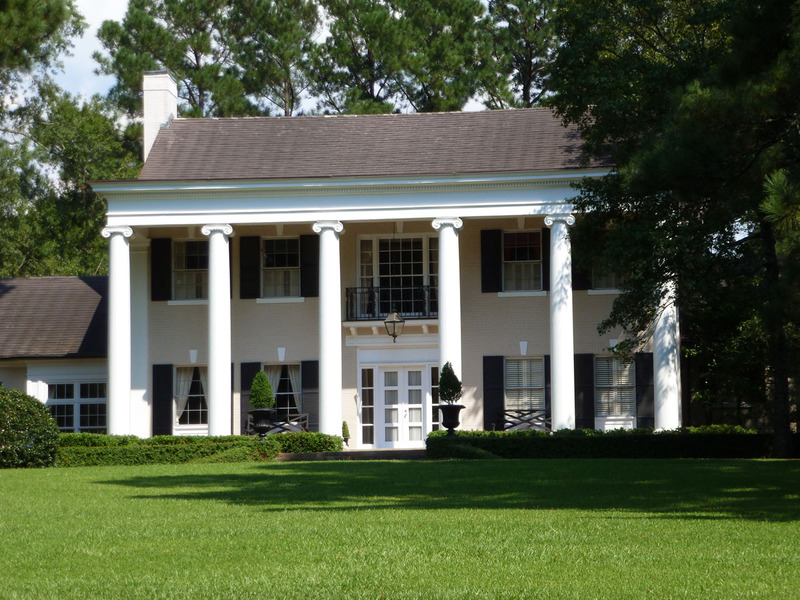 In 1934 he moved to Jackson where he served as the first state architect for the Federal Housing Administration. He wrote the first F.H.A. outline specifications, which was gradually adopted by state offices throughout the country. In June, 1936 [Note: the original obituary has the obvious typo “June 1963” so “1936” is my guess as the accurate year], he opened his office as a practicing architect and was soon joined in practice by [Dudley H.] White, operating as Fort & White, Architects through 1959. The firm handled many commissions in addition to planning and developing subdivisions and building homes for sale. Subdivisions developed included Colonial Courts, Victory Park, Shadowlawn, Arbor Hills, Kimbrough Heights and Larchmont, parts 1 through 6, in Jackson. The firm did the land planning for Eastover and he had a part in the planning and home building in the Bradenton-Sarasota, Florida area. Recently, he had been associated with Wortmann & Mann Realtors and had been working on land-use plans for the shoreline of Jackson’s Reservoir. Throughout the years his hobby was painting in watercolors, and he had done many beautiful pictures, which now adorn the homes of his friends. He was always interested in bird life and had spent time and energy in preparing a book on native birds of Mississippi; and in identifying and cataloging the birds he had seen around his beautiful Eastover home. He was an avid hunter and fisherman and was fortunate enough to enjoy a fruitful and happy life, enjoying the many things he loved in life. His survivors are his wife, the former Katherine Hoofnagle of Glen Ridge, N.J.; a daughter, Mrs. James K. (Kay) Child, and two grandchildren, Kitty Child and Keith Child, all of Jackson; and two sisters, Mrs. J. Rohrer of Birmingham, Ala., and Miss Anna Bell Fort of Meridian. Funeral arrangements are incomplete and will be announced by Wright and Ferguson Funeral Home. a name that is new to me, so, thanks for bringing him and his work to our attention. certainly, an interesting early career in nyc, too. i know my cousin, architect frank gates, knew him. I believe Fort was involved in forming the Mississippi AIA Chapter and later served as its president. The name is certainly familiar to me from research I did in the MSU Special Collections while I was a student. I am afraid I do not have the time right now to look through my files and find more information on Fort’s AIA and other activities. The MDAH database notes that he was president of the MS AIA in 1939, but I’ll have to check into the founding of the chapter, which I believe happened in 1929, so he may have come back to MS just after the formation of the chapter. I did a quick look into my files. Mississippi’s AIA Chapter was recognized on December 12, 1929 with their first meeting on January 8, 1930 at N. W. Overstreet’s Jackson office. Officers were elected, those being Overstreet as Chapter President, Emmett J. Hull as First Vice-President, Vinson B. Smith as Secretary and Treasurer, and Frank P. Gates, D. B. Shourds, and Claude Lindsley as the Executive Committee. Three applicants were approved for admission at the meeting: William B. Stanton, A. Hays Town, and E. Norwood, with Theodore Granberry being listed as a junior member. So, I was mistaken about Fort being a charter member involved in the formation of Mississippi’s AIA Chapter. I cannot find my list of Mississippi AIA presidents right now, but he is probably on that. If I had more time, I would write a post or series of posts about all of this. But spare time is not something I have in any abundance at the moment. AIA/Mississippi’s recently published list of its presidents over the past 90 years also indicates that he was president in 1939. MDAH might have been the source of that information.